Accreditation – Recognition by an organization or agency that a college meets certain established standards of educational quality. May be national and/or regional. Achievement Tests – College Board tests in specific secondary school subjects. Results are often used in helping with decisions about admission and course placement and exemption of enrolled freshman. American College Test (ACT) – One of two major college entrance exams used to determine admission eligibility. Application Fee Waiver – Freedom from payment of the admission application fee for those students with demonstrated financial hardship. Articulation Agreement – A written agreement that lists courses at one college that are equivalent (or acceptable in lieu of) closures at another college. Associate Degree – A degree usually awarded by a community college upon completion of 60 units of college course work including general education, major requirements, and electives. Bachelor’s or Baccalaureate Degree – A Bachelor of Arts, Sciences, or related degree, awarded upon completion of a program of study usually done in four years (full-time). Certification – The indication of the completion of the entire pattern of general education for the California State University and University of California campuses. (Either the CSU General Education Breadth requirements or the Intersegmental General Education Transfer Curriculum “IGETC”). Students must request that the Admission Office at their community college indicated completion on their transcripts. Concentration – An option or special emphasis within a degree program. Concurrent Enrollment – Enrollment in two or more classes during the same semester. Credential Program – Prescribed professional education requirements that must be met in order to teach at the K-12 levels. Usually fulfilled after completion of a bachelor’s degree. Credit/No Credit** – A form of grading whereby a student receives a grade of CR or NC, instead of an A, B, C, D, or F. A CR is assigned for the equivalent of C or better grades. **GWC uses the term “Pass/No Pass” (P/NP) to designate this form of grading. CSU General Education – Breadth – Completion of the CSU General Education-Breadth pattern will permit a student to transfer from a community college to a campus in the California State University system without the need after transfer to take additional lower-division general education courses to satisfy GE requirements. Elective – Courses which are not required for the major or general education, but which are acceptable for credit toward a degree. Filing Periods – The period of time during which campuses will accept applications for students wishing to enroll in a particular semester or quarter. Free Application for Federal Student Aid (FAFSA) – Application that determines eligibility for financial aid at an institution. The U.S. Department of Education that offers a variety of student financial aid programs for assistance with paying for the costs of college attendance. Aid is from both federal and state programs, and can be a combination of grant and loan options. General Education Requirements – A group of courses in varied areas of the arts and sciences, designed by a college as one of the requirements of the degree. Grade Point Average (GPA) – The indication of the overall level of academic achievement. It is an important measure in making decisions about probation and disqualification, eligibility for graduation, and transfer to the four year institutions. IGETC – Intersegmental General Education Transfer Curriculum.Completion of the IGETC will permit a student to transfer from a community college to a campus in the California State University or University of California system without the need after transfer to take additional lower-division general education courses to satisfy GE requirements. Impacted Major / Campus – When the number of applications received is expected to be larger than the number of spaces available. Additional criteria are then considered in making an admission decision and students must apply during a specified time period. 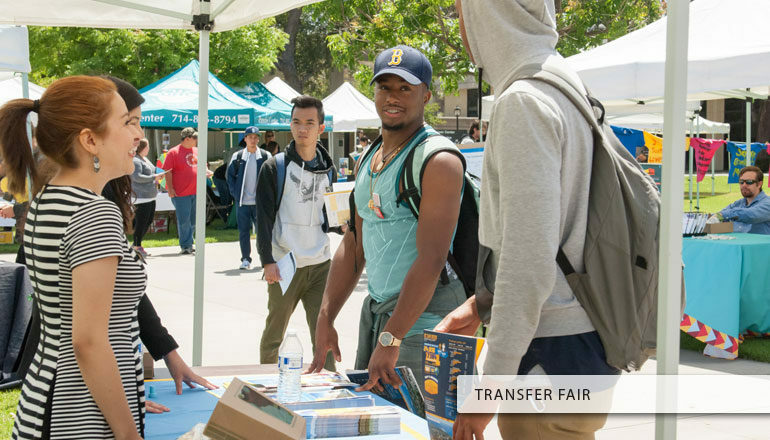 Independent College/University – In California, there are more than 70 accredited colleges and universities which are free from direct financial control by the states. Thousands of others exist throughout the nation. Liberal Arts – Programs/courses in the humanities, natural scenes, and social sciences. Lower Division – Courses at the freshman or sophomore level of college. Community colleges offer lower division courses. Major – Planned series of courses in one particular field designed to develop special skills or expertise. Master’s Degree – Awarded upon completion of one or two years of study beyond the bachelor’s level. Minor – A secondary field of study outside the major, often requiring substantially less course work. Postsecondary – Educational instruction beyond high school. Pre-Professional – Undergraduate coursework either recommended or required for enrollment in professional schools. Prerequisite – Requirement that must be met before enrolling in a particular course. Professional Schools – Law, business, medicine, dentistry, veterinary medicine, pharmacy, and other health sciences schools which require or recommend specific undergraduate preparation. Quarter System – Approximately 10 weeks of instruction offered three times a year during the fall, winter, and spring. Some institutions also offer a summer quarter. Residence Requirements – States that a certain number of units must be taken on the campus from which the student expects to receive a degree. Resident / Non-Resident Status – Students status based on place of legal residence. Non-residents (out of state) often have to pay higher fees and meet higher admission requirements at state financed colleges and universities. Semester System – Approximately 16 weeks of instruction offered two times a year, during the fall and spring. Teaching Credential – A basic multiple or single subjects teaching certification required to each in K-12 schools. Transcript – A list of all courses taken at a college or university showing the final grade received for each course. Official transcripts bear the seal of the college and/or the signature of a designed college official and are sent from one institution to another. Transfer – Changing from one college to another after meeting the requirements for admission to the second institution. Transfer Student – A student who has attended another college for any period. May be defined differently by different colleges. Undergraduate – A student at a college or university who has not yet earned a bachelor’s or equivalent degree. Units – the measure of college credit given a course, usually on the basis of one unit for each lecture hour per week, or for every two to three laboratory hours per week. Upper Division – The junior and senior years of study at a college or university.